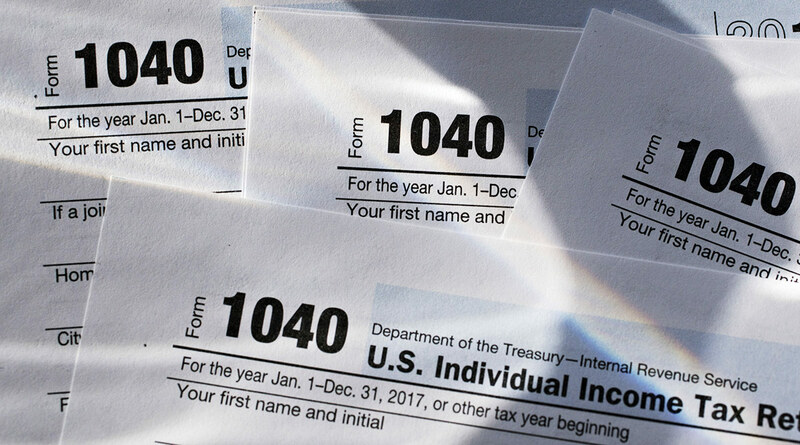 Tax refunds are the biggest windfall of the year for many Americans, often helping to keep bank balances elevated for months after payment, a JPMorgan Chase Institute study shows. Refunds have averaged $3,602, and amount to the biggest incoming cash flow day of the year for 29% of recipients, according to the institute’s study of bank and credit card customer data from 2015-17, before the 2017 Republican tax law took effect. Families who received refunds still had an average of 28% of their payments in the bank six months later. This year, in the first filing season under the new tax law, some have worried that their refunds are smaller, even though their paychecks were slightly larger because of withholding changes. The new study on how large a role tax payments play in households and the broader economy drew on 986 million Chase bank transactions and daily data for 1 million families. The tracking gives researchers a window into how refunds and tax payments, equal to about 2.5% of gross domestic product, affect spending and saving from the day of those transactions. While about four-fifths of families in the study received refunds and made no payments, the remainder who owed payments paid an average of 2.5 weeks of income in one day, according to the report by institute President Diana Farrell and fellow researchers Fiona Greig and Amar Hamoudi. In the week after a tax refund, cash withdrawals, goods purchases and bill payments increased an average of 85% or more. About a fifth of that spending went to paying bills, mostly for past consumption, including credit card and health care bills. The report builds on a 2018 study by the institute showing that spending on health care services jumps 60% in the week after a tax refund is received and remains elevated for 75 days. Most of the spending was at health care service facilities, indicating families schedule some health spending around when they get their refund.